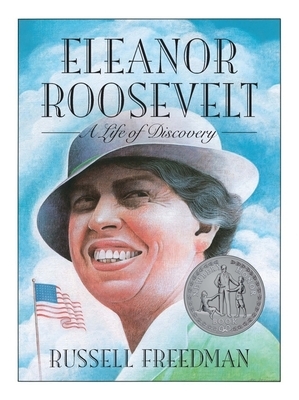 "Freedman has created a sensitive biography of Eleanor Roosevelt -- certainly sympathetic but not overly adulatory; it captures her spirit. The beautifully crafted text flows smoothly and is accompanied by over one hundred black-and-white photographs portraying Roosevelt at every age. Young readers will find inspiration, hope, and guidance in the life of the outstanding woman. Bib., ind." -- Copyright © 1994 The Horn Book, Inc. All rights reserved.